The most exciting game was a derby match between two local teams from Asuncion: San Jose (#2) and Libertad (#4). San Jose (7-1) crushed visiting Libertad (6-3) by 20 points 96-76. San Jose have an impressive series of seven victories in a row. They maintain second place with 7-1 record having just six point less than leader Olimpia. Libertad at the other side keeps the fourth position with three games lost. Bottom-ranked Dep.Internac. (0-9) is still winless. This time they could not use their home court advantage losing their ninth consecutive match to sixth ranked Felix Perez (4-5) 79-53. Felix Perez moved-up to fifth place, which they share with Luqueno. Dep.Internac. lost their ninth game in a row. They still close the standings with nine games lost. The game in supposed to be also quite interesting. Third ranked Sol de America (6-1) played at the court of 7th ranked Campo Alto (2-7). 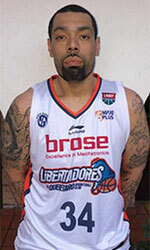 Sol de America smashed Campo Alto 97-57 on Saturday. The victory was the third consecutive win for Sol de America. 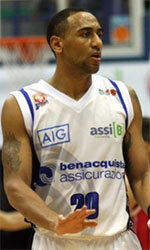 They maintain third place with 6-1 record having just four point less than leader Olimpia. Campo Alto lost their fifth game in a row. They keep the seventh position with seven games lost. In the last game of round 9 Ciudad Nueva lost to Luqueno on the opponent's court 82-99. Rather expected game when 8th ranked Ciudad Nueva (1-8) was defeated on the road by fifth ranked Luqueno (4-5) 99-82 on Saturday. Luqueno maintains fifth place with 4-5 record, which they share with Felix Perez. Ciudad Nueva lost their seventh game in a row. They keep the eighth position with eight games lost.